What is the function of appendix ? What is the best method of diagnosis? What is the best treatment of appendicitis? Is every patient fit for laparoscopic appendectomy? What are the complications of laparoscopic appendectomy? Appendix is a small worm like pouch attached to the cecum, the beginning of the colon, on the lower right side of the abdomen. It was useful in herbivorous animal for digestion of cellulose but the appendix is not necessary for human life. Sometime it can become diseased and give rise surgical emergency. During first few year of the life appendix functions as part of the immune system, but after that it no longer has any known function. It hurts allot! it hurts allot! can't go outside from my body the perks! the perks! as I abide to the Guide of doctor. Appendicitis was first recognised as a disease entity in the sixteenth century and was called perityphlitis. Appendicitis is inflammation of the appendix. 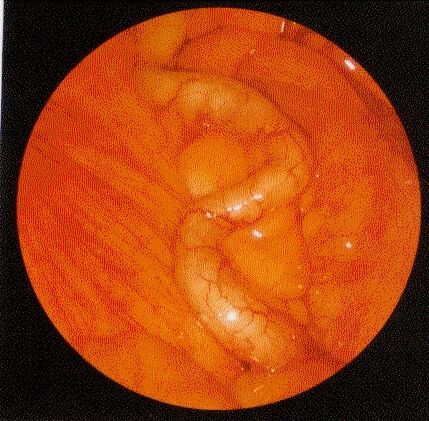 If untreated, an inflamed appendix can burst, causing infection, abscess, severe peritonitis and even death. Appendicitis can affect people at any age. It is most common in people ages 10 to 30. The cause of appendicitis is usually unknown. It may occur after a viral infection in the digestive tract or when the opening connecting the large intestine and appendix is blocked. The inflammation can cause infection, a blood clot, or rupture of the appendix. Because of the risk of rupture, appendicitis is considered an emergency. Anyone with symptoms needs to see a doctor immediately. There are no medically proven ways to prevent appendicitis. However, appendicitis is found to be less common in people who eat foods containing fiber and roughage such as raw vegetables and fruits. Several ways have been suggested to diminish the diagnostic error that occurs if diagnosis is based solely on the clinical picture of suspected appendicitis. In fact appendicitis is a disease, which can mimic most of the causes of abdominal pain as well as some of the chest diseases. Despite new x-ray techniques, CT scans and ultrasounds, the diagnosis of appendicitis can be quite challenging. So far the most accurate non-invasive method of diagnosis is ultrasonography but this is not totally reliable. The history and physical examination will generally lead to the correct diagnosis. The diagnosis of acute appendicitis is mainly clinical. Together with other supporting investigation. Best treatment of appendicitis is its surgical removal. Mild appendicitis may sometimes be cured with antibiotics. More serious cases are treated with surgery to remove the appendix, called an appendectomy. Doctors may use laparoscopic surgery for appendectomy. This technique involves making several tiny cuts in the abdomen and inserting a miniature camera and surgical instruments. The surgeon then removes the appendix with the instruments, so there is usually no need to make a large incision in the abdomen. No. Most surgeons would not recommend laparoscopic appendicectomy in those with pre-existing disease conditions. Patients with cardiac diseases and COPD should not be considered a good candidate for laparoscopic appendectomy. 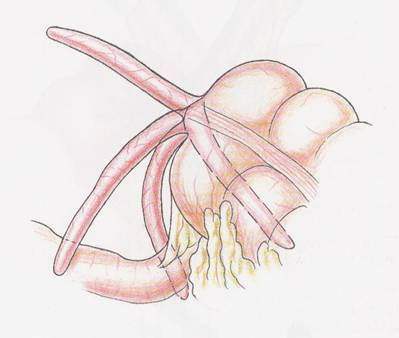 Laparoscopic appendectomy may also be more difficult in patients who have had previous lower abdominal surgery. The elderly may also be at increased risk for complications with general anaesthesia combined with pneumoperitoneum. Laparoscopy does add to the surgical risk in patients with a lowered cardio-pulmonary reserve with regard to the consequences of the pneumoperitoneum and a longer operative time. Prof. Dr. R. K. Mishra. Click here for free laparoscopic surgery. We have taken many steps to ensure the fair examinations. Our Online Scholarship Exam uses World's Most TRUSTED Secure server software (SSL) Geotrust which is an industry standard and among the best software available today for secure commerce transactions which is verified by VISA and Mastercard. It encrypts all of your personal information including credit card number, name, and address, so that it cannot be read as the information travels over the internet. World Laparoscopy Hospital is a Private Limited Company registered by government of India as Delhi Laparoscopy Hospital Pvt. Ltd. World Laparoscopy Hospital holds a web site identity assurance warranty of $100,000. This means that you are insured for up to $100,000 when relying on the information provided by Id Authority on this site and it is ISO 9001-2008 certified institute for Laparoscopic Treatment, Training and Research. Laparoscopic Courses of World Laparoscopy Hospital are university recognized courses, endorsed by World Association of Laparoscopic Surgeons and accredited internationally by International Accreditation Organization (IAO), Houston, USA. Robotic Surgery Training is also endorsed by Intuitive Surgical incorporation da Vinci Surgical System, USA.